William T. Allen holds the Jack H. Nusbaum Chair in Law and Business and is the Director of New York University Center for Law and Business, a joint venture between Stern and the NYU School of Law. Before joining the faculty, Allen served as chief judge of the Court of Chancery of the State of Delaware. Chancellor Allen teaches corporate law at Stern. Chancellor Allen's primary research areas of interest are corporate law, mergers and acquisitions, and securities law. He has been published in numerous journals including University of Chicago Law Review, Northwestern Law Review, New York University Law Review and the American Bar Association's Business Lawyer. As a judge, Professor Allen wrote more that 500 judicial opinions on a broad range of legal questions. 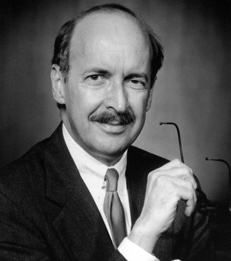 Before joining NYU Stern, Chancellor Allen served as Raben Fellow at Yale University Law School. Chancellor Allen also taught at Stanford Law School, and was an adjunct professor at the University of Pennsylvania Law School. Professor Allen received his Bachelor of Science from New York University, his Jurist Doctorate from the University of Texas and the Honorary Doctor of Laws degree from the Dickinson Law School.